I've never "set" my hair before but I'd really like the try the extra wide curlformers. Curious if any other wavies have tried curlformers! I have the extra wide curl formers. I really like them, my hair comes out looking like it's been curled with a curling iron. It does take some experimentation though with different products (gel didn't work well for me but a thick layer of leave in conditioner had good hold without being crunchy) and placement of the forms. The only way I've found to sleep in them without any discomfort is too not place them too close to the root. 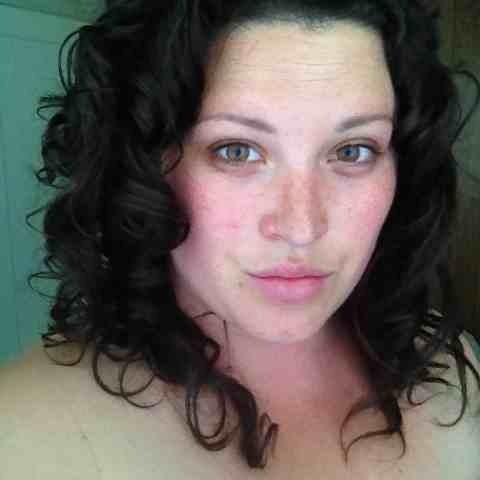 And so far I've liked them best with all the curls going towards my face and small but wide sectioning. I'm thinking of going back and getting a narrow set even though their expensive for a different look, and because I find them easier and faster to apply than a roller set. ImageUploadedByCurlTalk1401907766.073098.jpg I'm not sure if this pic will show but this from a set a couple days ago after sleeping with them in an then separating the curls in the morning . Wow that's a great look on you! What's your curl pattern normally? What do you mean by small but wide sectioning? I'm planning on using them with my curlformers softhood which I already own. Thanks for the product recs. Normally I don't wear leave-in so I was going to try them with a lighter more "flexible" gel or gelly, like FSG, Ouidad's Climate Control Gel or maybe CJ CIAB. Sorry that wasn't very clear. Instead of taking for example a 1" by 1" section into the form I use about a 3" wide (horizontal - parallel to my hair part) and .5" long or vertical section. Twisting near the root to fit it all into the hook. I've found it looks better this way after separating the finished curls and it eliminates the parts made from sectioning the hair off into the forms. I think my hair is some kind of combination of 2c, 3a, and possibly even 3b. I haven't put to much thought into curl pattern because it always looks so different depending on what styling techniques I use on any particular day. I was thinking of buying the softhood as well, or possibly splurging on a hooded dryer, as it seems usefull for doing deep conditioning treatments and everyday styling. Do you ever use it in place of a diffuser? I have some, but I can't figure them out. I like them but I had to practice a lot with the amt of hair I used. I have a straight bit in front I use it on and I have a spot in the back (cowlick) that no amt of product works on. I use them on these spots to even things out.